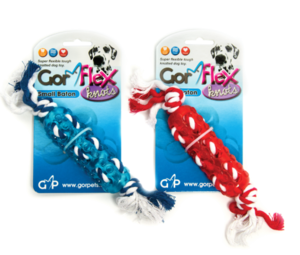 The Gor Flex Knot Baton have an exciting combination of rope and rubber to keep your dog entertained. The Gor Flex Batons by Gor Pets are made using a blend of TPR and rope. The rope is entwined throughout the TPR body giving an exciting blend of strength and textures that will keep you dog entertained for hours.